In this fictional narrative, Jake grows grapes and makes grape jelly out of them. The text structure is descriptive, and readers will be helped with word recognition through their familiarity with the fruit and the tight picture-text correlation. 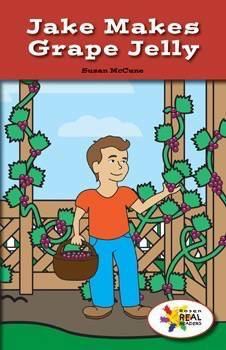 This fiction title is paired with the nonfiction title All About Grapes.